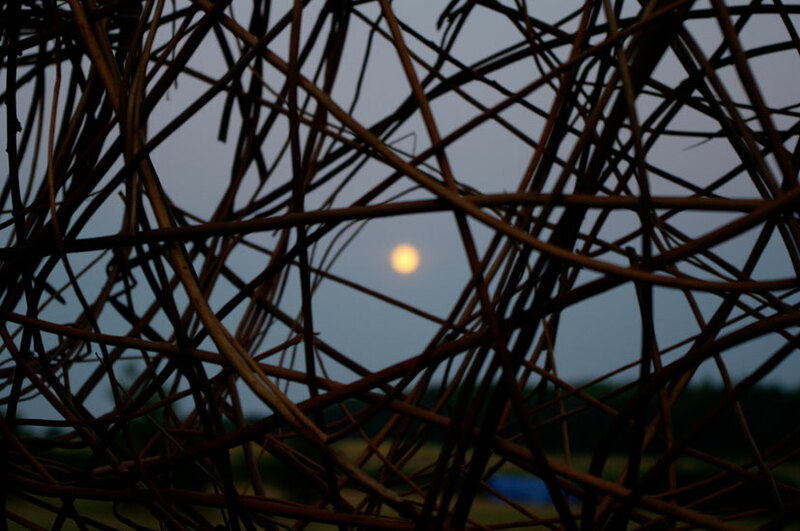 Maggie Cooper was born and raised in Birmingham where she first became fascinated by basket-making and trained at Bournville College of Art. 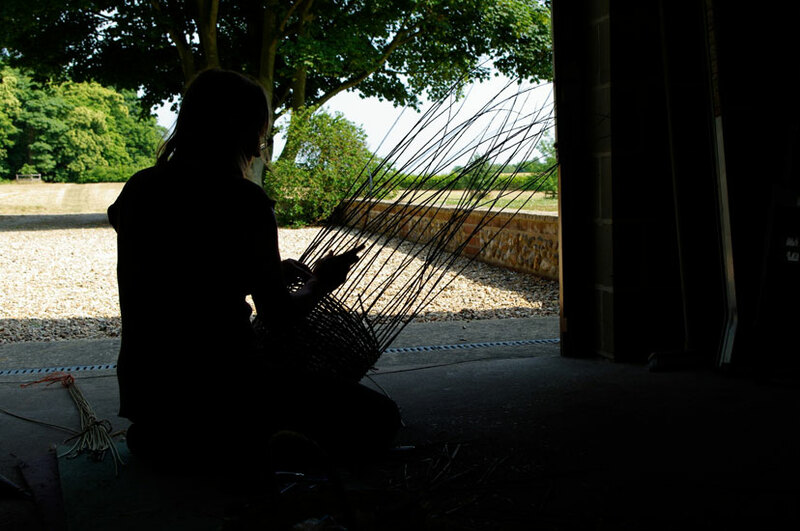 After an apprenticeship, her first commission was a wicker doll’s cradle for the Birmingham Museum and Art Gallery, followed by a solo exhibition at the Birmingham Botanical Gardens. In 1997 she was granted the Freedom of the City of London in recognition for her work, sponsored by a member of the Worshipful Company of Basketmakers and the President of the Basketmakers Association. 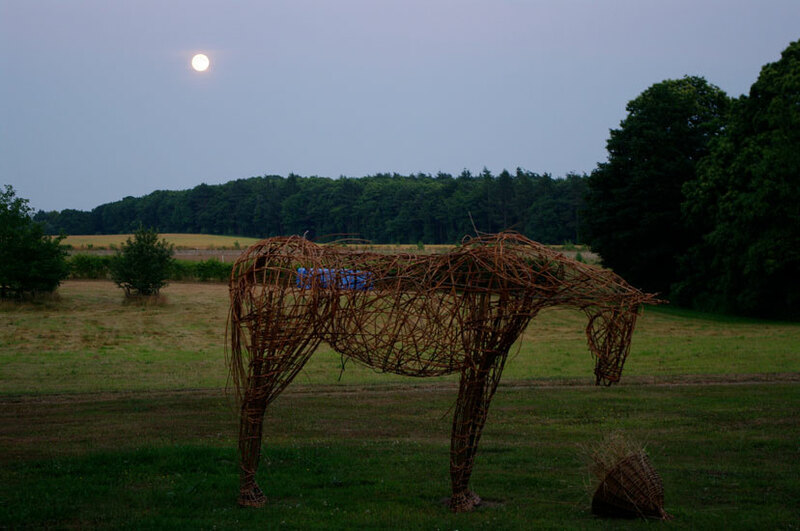 In the 1980s she moved to Leicestershire, a county that was once the heart of the English willow industry, and where there are still traces today, including many willow beds. In 1991 she was artist in residence in Conwy, Wales, at a time when she was researching Celtic basketry. This took her to Ireland to run courses and work towards making authentic forms of “primitive” baskets such as coracles. Maggie works with locally-sourced materials, making and recreating English forms, reviving ancient and forgotten designs, and creating new artworks for the modern day. She attends workshops around the country and has recently developed her skills at international training sessions in France, Denmark and Sweden. Maggie’s work today mostly includes large-scale art installations in public spaces, reconstructing historic functional baskets, and private commissions. Her passion for keeping this ancient craft alive is also reflected through her educational work.